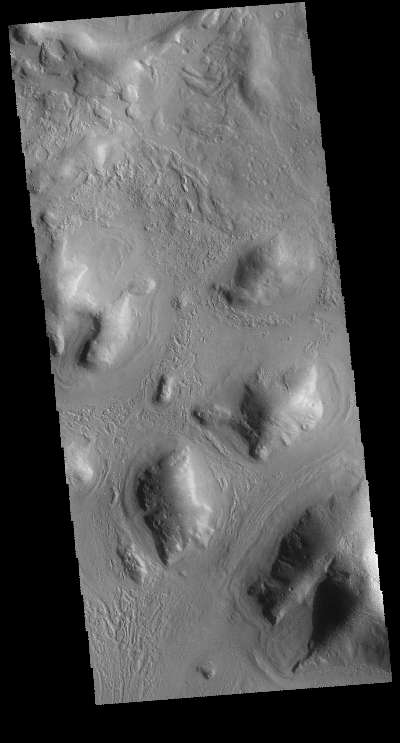 Today's image is located on the boundary between Terra Sabaea and Utopia Planitia - west of yesterday's image location. The morphology of this region is comprised of hills, some of which have channels between them. In this image the channel feature is near the bottom and is defined by the linear features.